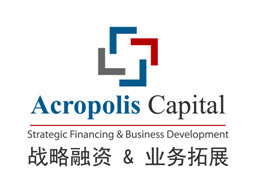 Acropolis Capital added value consists in its ability to identify strategic, financial, industrial & business partners, to connect together entrepreneurs and to provide them opportunities to develop their business and invest through our network. Acropolis Capital focuses on financing solutions, fund raising, buyout, VC, PE, M&A, JV. Acropolis Capital is mostly involved in Technologies like Biotech, FinTech, TMT, Environment, Smart Cities, Energy, Oil & Gas, and Mining. Acropolis Capital brings European Tech Companies in China and Asia. Acropolis goal is being the bridge between Europe, China, Africa and Arabian Gulf. Acropolis network includes solid partnerships; some of them exist for more than 25 years. Our aim is to facilitate co-investment between China-Europe-Africa-Dubai-Qatar-Iran: in co-investment, everybody will benefit from others’ expertise, on each one zone of knowledge. The first and biggest international marketplace that is entirely dedicated to Private Equity, to stepping up dialogue and business between all Private Equity players and their stakeholders. With more than 10,000 GPs in the world and more than 365 G$ of capital raised in 2013, one can say that Private Equity is now a real industry. Technology clusters network including important research labs and industrial groups in Europe.